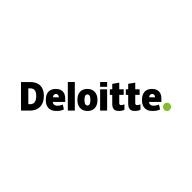 At Deloitte Consulting LLP, our Analytics and Information Management team is responsible for transforming numbers and statistics into actionable information for our clients. We help them predict, plan, and adapt their business strategies to meet real-time challenges and confidently help navigate past whatever obstacles come their way. We take a holistic approach to data and offer a broad range of integration and analytics capabilities, including: Information Delivery, Data Management and Architecture, Digital Finance Technology and Advanced Analytics Enablement. Learn more about our Analytics and Information Management practice. 1+ years of hands on experience with data integration products like Informatica PowerCenter Big Data Edition (BDE), IBM BigInsights, Talend etc.